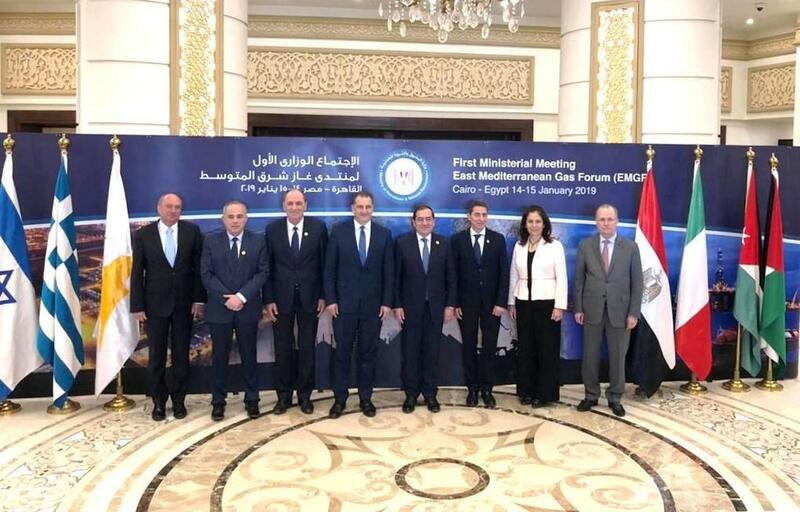 2019 starts with the establishment of the East Med Gas Forum, which demonstrates the importance attached to the strengthening of energy cooperation between the countries of the Eastern Mediterranean. The ceremony took place in Cairo. The Eastern Mediterranean Natural Gas Forum is a dialogue initiative between seven countries in the Eastern Mediterranean (Egypt, Greece, Italy, Jordan, the Palestinian Authority, Israel, Cyprus) involved in the production and transit of natural gas. Exploiting on a commercial basis the deposits of the region and the widening of cooperation between producer countries, transit countries and countries – final producers. In his post, Greek Energy Minister Giorgos Stathakis focused on the strategic role that natural gas plays in the energy transition of the Greek economy into a low-carbon environment. Liberalization of the gas market and its strengthening, through the preservation of the state in medium and low pressure networks. Linking the Greek market to the Balkan markets of Europe and the Eastern Mediterranean through large infrastructure projects such as the TAP, IGB and East Med gas pipelines. Promotion of diversification of gas supply sources and routes so as to further strengthen the country’s energy security. Highlighting the country not only as a transit hub but also as a potential gas producer, provided that the exploration of potential deposits in progress in the Ionian Sea and those that are about to start on the southwest coast of Crete is successful. Recent discoveries of deposits in the Eastern Mediterranean make the region a key source of diversification of supply in the European gas market.